I style my sports bra that I usually wore to gym as a part of outerwear. It is because the sun in Tokyo is really strong and I couldn't handle more than that. Sporty bra is just so comfy and easy. It definitely a good choice for out going girls. As I said before, hair style is also part of the style. 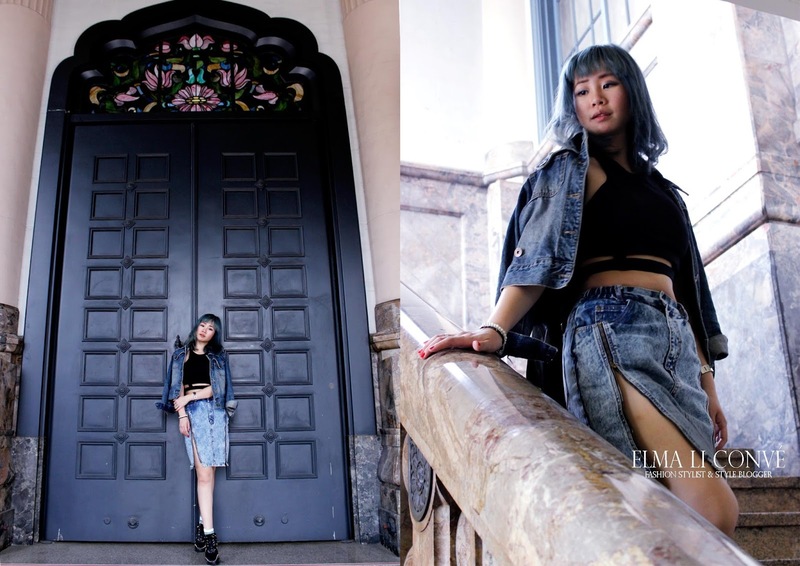 According to the denim blue hair, I went with a denim set with my sports bra and DKNY leather backpack. I believe this is an affordable way to be stylish.